I'm very happy to have received my Owl Cave Ring replica for Christmas. I'd been looking forward to owning it ever since its announcement some months ago, and hinted strongly at my desires to my partner. The body of the ring is beautifully sculpted, in fact rather flawless in direction. Having seen online past unofficial replicas, this is as well formed and polished as anyone could hope to achieve. The lines are beautiful, there being evident a level of precision not seen in previous replicas. If there is a weakness, it is the confounding choice of aventurine for the stone, and its overall shaping. 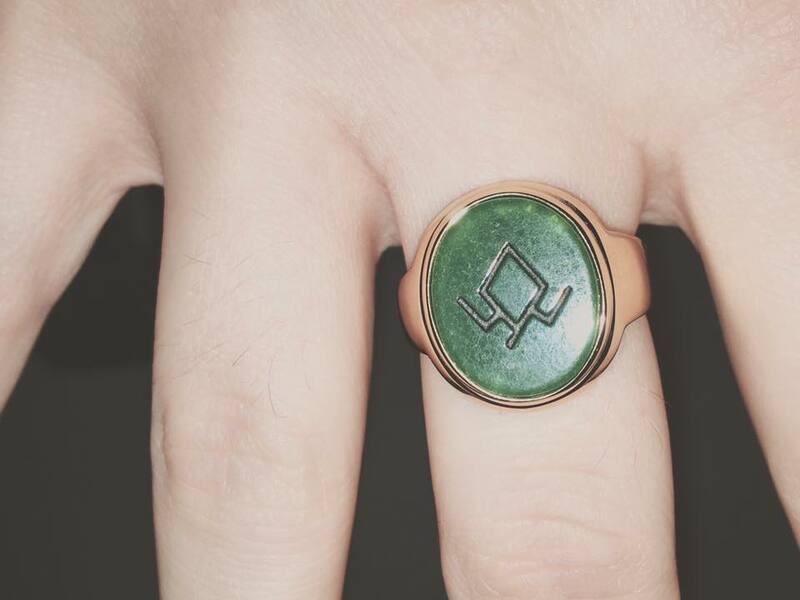 The Fire Walk With Me ring is clearly closer to jade in nature, and appears rather opaque, except maybe for the moment it is seen on the mound underneath the trailer. The ring in the limited event series is clearly rather reflective, and more glassy in appearance. Whereas the first appears more pearlescent, the latter is more radiant. The stone in FWWM appears to have a rounded off edge, whereas the limited event series version almost appears concave, though this is likely due to the way it reflects/refracts light. The RockLove replica is coloured more like the limited event series version (a darker more pronounced green), but lacks the reflective nature present in the series. It is also flat edged, so lacks the rounded off edges of the original FWWM version, and appears to have a flatter face. It is however moderately translucent, though this translucence is only really apparent when raised to a light source. The combined effect however, particular when worn, is rather magical. I will say that when polished clean, it appears to shift hue dependent on the kind of light hitting it, and in day light, shimmers with a range of greens. 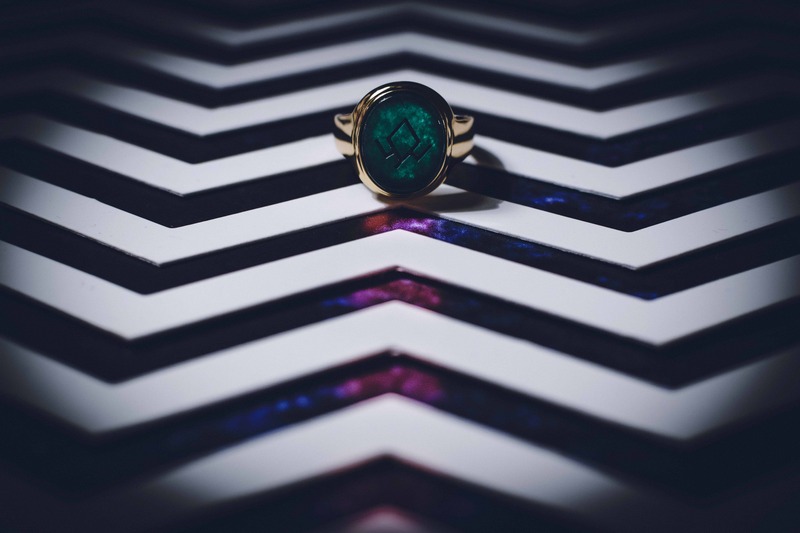 It is a genuinely beautiful piece of jewellery, and one that has already drawn a few glances as to the meaning of its symbol from the unsuspecting, or Twin Peaks ignorant! Looks great! Is this the RockLove replica? Hi Pieter, this is the RockLove ring 🙂 Partner got it me for Christmas, and I'm still quite obsessed with it... I find myself worrying it often. It's an exceptional design, particularly the band, which is far more attractive than any signet ring I've seen yet.